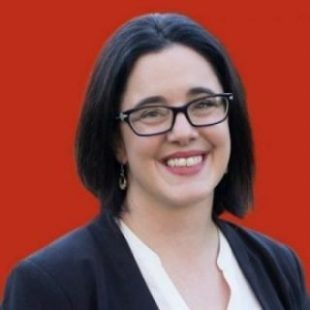 I am Ella Haddad, your new Labor Member for Denison. I have worked and volunteered in Tasmania’s health and community services sector for 17 years and have seen first hand the damage that cuts to these services can do to individuals, families and communities. I’m a young mum, with two school age daughters. For six years I was a single mum, walking the tightrope of work, study and parenting and struggling to make ends meet. I relied on people during that time more than I ever thought I would have to. I changed jobs. I could not afford my own house, so we moved four times and relied heavily on my mum. I learned a little can go a long way. When I was younger, I worked long hours in retail and hospitality. I paid my own way through university, relying on penalty rates to get by. Having worked in health and community services, I know how important ensuring health services are there when we need them. Hospital treatment must be well funded and available when we need it. I believe Tasmanians deserve well-resourced preventative health care services. Hospital treatment must be well funded and available when we need it. I believe Tasmanians deserve well resourced preventative health care services. I love the vibrancy of our communities in Denison. I am determined to make sure no one gets left behind. I am passionate about health and community services, easing cost of living pressures including housing affordability and availability, along with secure and reliable jobs. I will work alongside Rebecca White and the Labor team to put people first. Sign Ella’s petition to improve Glenorchy’s Waste Management here.